Posted on 08/08/2016 by Jeremy Bailey	in Live Review and tagged 9:30 Club, Alternative rock, Garbage, Kristin Kontrol, Lincoln Theatre, Live at 9:30, rock, Strange Little Birds. Garbage descended on DC for the second time in a year on August 3rd, this time at the seated Lincoln Theatre (although no one actually sat). For this tour they are promoting their sixth album, Strange Little Birds, released in June. Of the 22 songs they played to the rapt crowd, only four were from the new album. “Even Though Our Love Is Doomed”, which Shirley Manson (lead singer) described as ‘the centerpiece of our new record’, is introspective and moving played live, and focuses more on the vocals. Other new songs included the hard-charging “Blackout” and later during the encore, “Empty” and the slow, take-it-down-a-notch “Sometimes”. 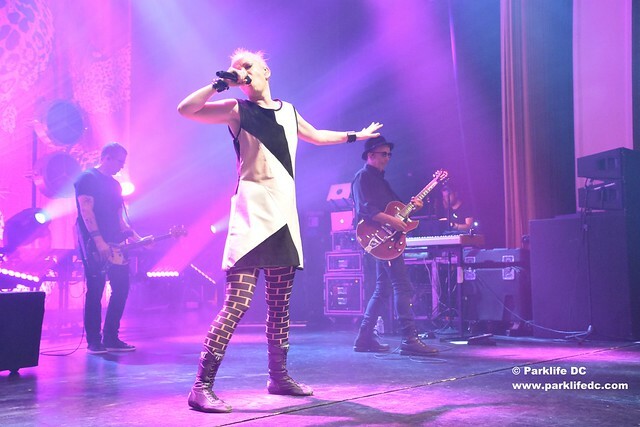 Posted on 08/03/2016 by Jeremy Bailey	in Live Review and tagged Alternative rock, Garbage, Kristin Kontrol, Lincoln Theatre, rock, Strange Little Birds. Garbage returns to DC on Wednesday, August 3rd at the Lincoln Theatre! Only a short 10 months has passed since they graced the 9:30 Club in October of 2015 with their two-month long, 20 Years Queer Tour (celebrating the release of their debut album). I attended that show, but only wrote a review for the opener, Torres. I’ll somewhat correct that now, by saying it was a great performance. I was initially intrigued because I had yet to see Garbage play live. 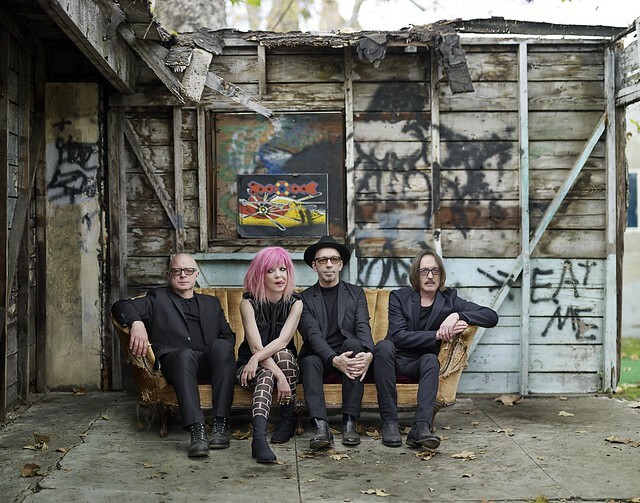 Now Garbage is touring for their latest album, Strange Little Birds, their first since 2012 and second in a decade. Last year’s show started with great anticipation, much like waiting for their new album, when thick, black curtains hung in front of the whole 9:30 Club stage. The music started to slowly build and the minutes passed – something was happening behind the curtains. Finally, just at the perfect moment, the curtains fell dramatically and Shirley Manson and co. exploded into a crushing rendition of “Subhuman”. They went on to play 22 songs, ending with “Why Don’t You Love Me”. Although I haven’t heard the entire new album, many of the new songs are strong entries to their catalog. “Even Though Our Love Is Doomed” is a languid, introspective song, with spare instruments, focusing mostly on Shirley’s vocals. It builds slowly at the end, but never really tries for a rock climax. “Empty” is the opposite. It soars to reach the epic hooks of their best early songs like “Stupid Girl” or “Only Happy When It Rains”. It doesn’t quite get to that level, but it is still a pretty good effort. I’ll have to pick up Strange Little Birds after I witness Garbage play the new songs live. Opening is Kristin Kontrol (Kristin Gundred of Dum Dum Girls).